April shower bring may flowers.. errr mud. Yes, it's true, in Memphis, May is often just as rainy as April so lots of mud results. I don't mind, though, I would take this over snow any day!! >> Try Something New - Ok, I know this one is extremely vague. 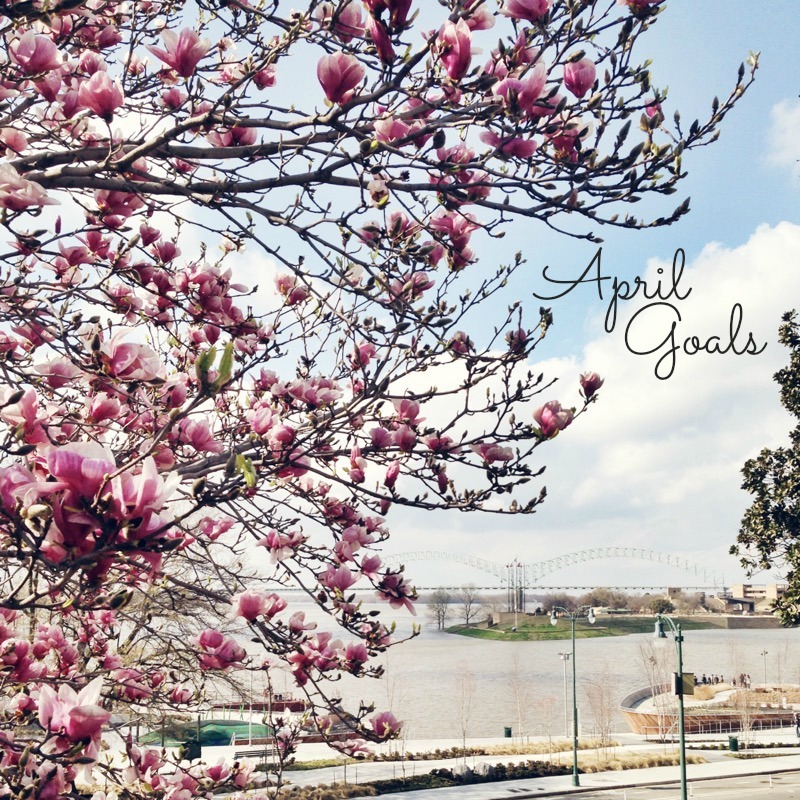 There are soooooo many events happening in Memphis this month and I definitely want to take part in a few. I just don't know which few yet!! We shall seeeeeeeee. >> Spend Time Outside - I pretty much complained all winter about the cold. My goal is to take advantage of the beautiful days and do things outside! I work in a corporate office and there are days I don't go outside! There is no excuse for this in the Spring. >> Drink More Water - It's amazing how much better I feel when I drink a lot of water throughout the day. I want to keep this up and stay hydrated! >> Spring Cleaning - Lately, I've had the urge to purge. It's time to clean out the closets and get rid of things we don't use. What things do you want to accomplish this month? My April goal is to get dinner with you and Jeremy! Spring cleaning is definitely at the top of my list!